The crocheted lace and ribbon accents give this gown a true vintage heirloom look. Available in white or ivory. Includes the matching bonnet. A similar style starting at size 12 month is also available as a regular float dress. 3 month sizing general fits 0-6 month and 6 month sizing generally fits 6-12 month sizing. 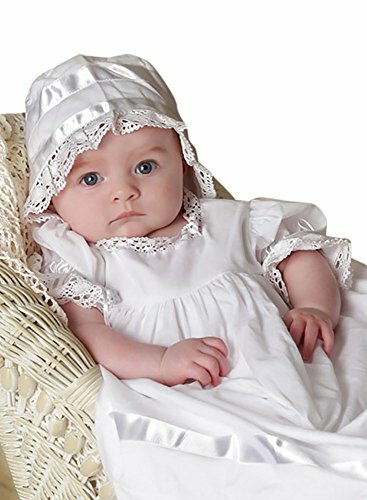 Handmade Cotton Heirloom Dress for christening and baptisms for baby and infant.